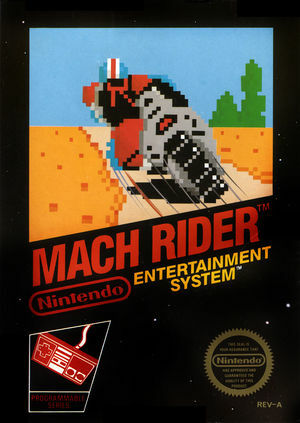 Grip the handles of your futuristic motorcycle in Mach Rider (マッハライダー Mahha Raidā). Feel the freezing wind crack against your cheeks. Suddenly you're off! Riding at speeds up to 500 miles per hour in a desperate attempt to save the planet. You'll love every hair pin curve because you've created this daredevil course yourself. Along the way you'll be challenged by an endless array of ruthless villains who will do everything in their power to destroy you and your planet. You'll defend yourself with a specially mounted Power Blaster. But watch out! The action is fast. The danger is imminent. 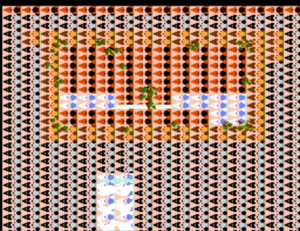 Design your own course or ride one of ours, in this lightning fast Nintendo programmable game! The graph below charts the compatibility with Mach Rider since Dolphin's 2.0 release, listing revisions only where a compatibility change occurred. This page was last edited on 13 December 2017, at 05:15.